Professor of Supramolecular chemistry laboratory of Kumamoto University of Japan Assoc.Prof Makoto Takafuji was in Nano Research Laboratory 30 september 2016 . 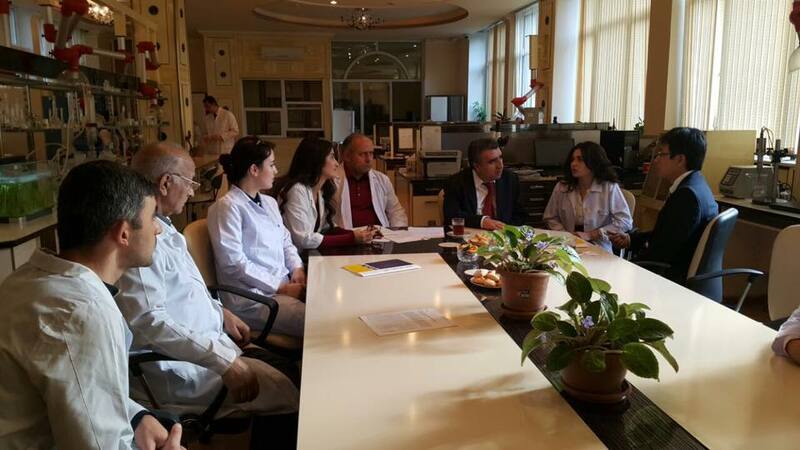 The guest of our city within the framework of V Baku International Humanitarian Forum were informed about material-technical base and Scientific research work carried out in the Nano Research Laboratory. 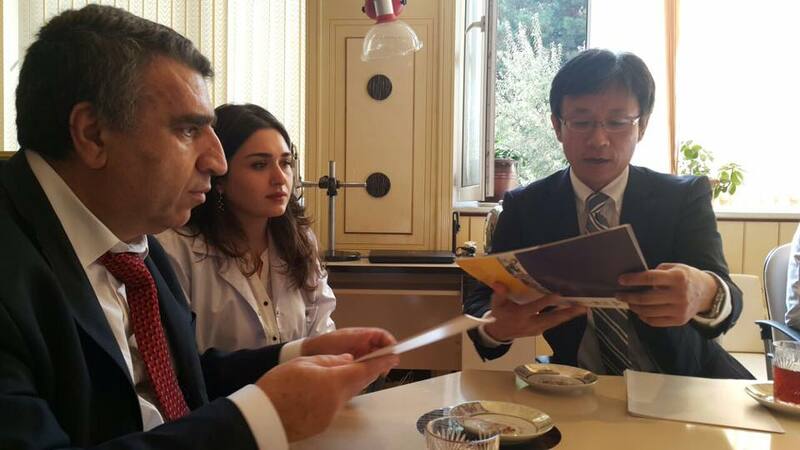 Dean of the Faculty of Physics prof.M.A.Ramazanov and Assoc.Prof Makoto Takafuji discussed issues of cooperation and possible opportunities for training joint masster and PhD. 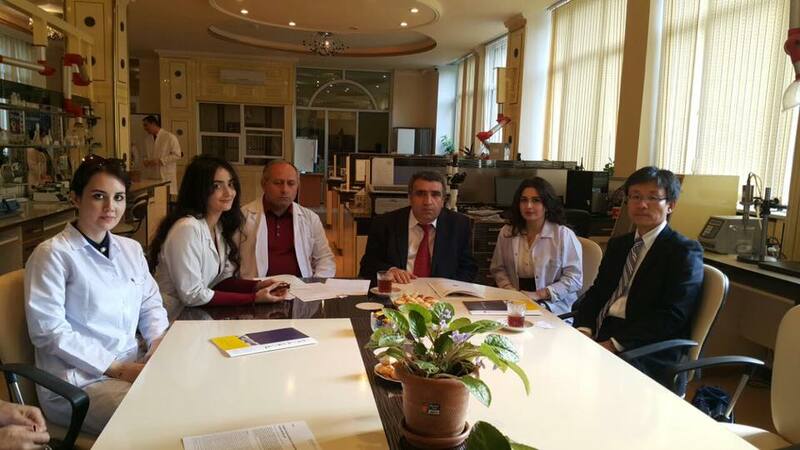 Note that assoc.prof .F.V.Hajiyeva has been dispatched to applied chemistry and biochemistry laboratory of Kumamoto University of Japan for 4months of a scientific mission. assignment will be carried out under the project funded by the International Fund for Matsumae.